Please tell us the TIME & DATE you would like to visit. The purpose of our young Toddlers and Adv. 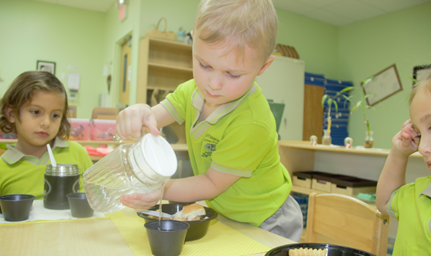 Toddler classroom is to develop internal control in children using Montessori Material and curriculum. In our Prep-class, the children are groomed for preschool. Once children develop some level of internal control in the Toddler class, it becomes easier in the Prep-class to potty train them. Montessori Primary class is the core academic of Montessori Leaning. At this level we expect children to be fully independent. My daughter absolutely loves going to Ivy League Montessori . 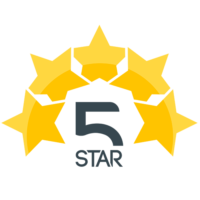 The staff are very professional and friendly . When she comes from school she is filled wit so much joy and talks about Ms.Kayla and Ms.Francis all the time ,She even talks about school on the weekend . The director Ms. Salma is very personable and listens to all your concerns. I absolutely love how they take pictures and send home a folder of all the work your child has done for the week. I would definitely recommend this school !! My husband and I are beyond happy that we chose to enroll our daughter at Montessori Ivy League! We enrolled her this October and since then she has flourished in so many wonderful ways. 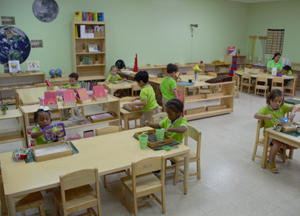 Ms. Salma, the director, and her amazing staff create a warm, safe, and clean environment where children can learn and progress with Montessori methodology and foster a love for learning and creativity. We value the open communication that Ms. Salma and her staff have created with parents and look forward to the daily updates of of our daughter’s day and what she is learning in class so it can be encouraged and continued at home. Each day she is welcomed with a warm smile. We are confident that when she is left at school, she is in an environment that honors her safety, her learning, and her well-being...it is her second home! We look forward to the years ahead and are excited to see our daughter’s continued progress and journey. Thank you Ms. Salma, Ms. Marion, and to all the staff at Montessori Ivy League!